Tinnitus can be very distressing to those dealing with it and marketers are aware of that fact. Since it’s become a bit of a hot button. More and more companies are going to try to cash in on this fact. Beware of anyone offering you magic pills that have not been scientifically proven. Sadly, there are more scams out there than the real deal, so we want to encourage you to contact us to get in contact with real professionals that are trained to deal with this ailment properly. So be careful to read all the labels on these ‘’miracle pills’’ before digesting them. Pills that promise to cure you are shady because there is no definitive cure for tinnitus yet. Beware of those seedy slogans that some companies try to sell you. Do Products work for Tinnitus? Only purchase products with a solid history of tinnitus relief. Do extensive research on everything you come across that is promising you a quick and easy way to get rid of tinnitus. These pills tend to be full of unhealthy additives that could cause you major issues in the future. Also investigate the company that is marketing to you. If this company is unheard of and only just appeared to help sell you placebo pills, that is a red flag. Beware of money-back guarantees and ‘’risk-free’’ trial offers. This one is a big red flag because risk-free trial offers often are trying to take advantage of the consumer. This may not always be the case, but it does not hurt to be cautious. The risk free trial can definitely backfire since they put a time limit on when it can be returned, the company will already have your credit card and you would have to send the package back as soon as you can and hope that it makes it to them in time so that you can indeed get your money back and most of the time this does not work ouaqt. So, in the end, you end up with a faulty product and less money in your wallet. This one is the biggest red flag of them all. Avoid products that claim to be able to cure tinnitus. There is no cure for tinnitus. 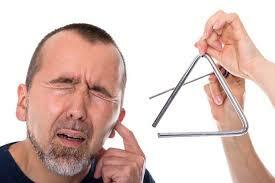 Tinnitus is a very complicated subject that is still extensively studied. 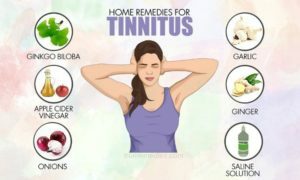 Many doctors have been working hard to find a cure but since tinnitus involves more than just your ears it has been proven to be a very challenging ailment to cure. If big and well-known scientists in this world have not found a cure, then a random small-time company has most likely not found the cure. Look into the company before giving them any information about you and keep in mind that a lot of the companies claiming to cure you totally of this illness are trying to sucker you out of your cash. Contact us for further information about tinnitus. We help our patients to live fulfilling lives regardless of their tinnitus. Living a life of mindfulness makes everything easier.